Ever the optimist, Ella! Miss Henderson is OUR constant source of happiness. 4. Ever the optimist, Ella! Miss Henderson is OUR constant source of happiness. What. A. Babe. 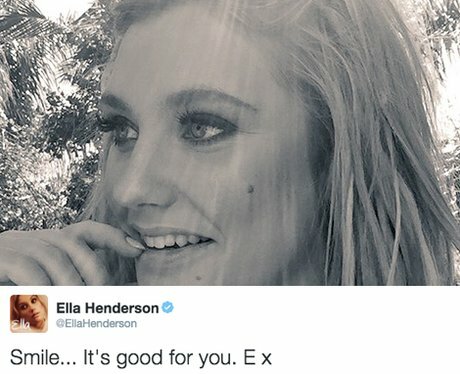 Ella Henderson reminds her fans that all is not bad and to smile. Hey, we're smiling because it's FRIDAY!